Stewart Pressure Cleaning has been serving Jacksonville and the surrounding areas for over 16 years. Regardless of what you’re looking for, you’ll see why we’re the leading pressure washing company in Jacksonville. As an owner operated business with a personal touch and experienced professional work, your satisfaction and repeat business is what we strive for. Unlike some other pressure washing companies, pressure washing is all we do. We don’t paint, landscape or do handyman work. Pressure cleaning is not rocket science, but if done incorrectly it could easily damage your home. High pressure should never be used on your homes exterior. Beware of “we do it all” companies with limited pressure washing experience. We use the lowest pressure that is needed in conjunction with the proper mix of chemicals and detergents. We won’t break window seals, chip paint or damage your caulking. Plants and grass won’t be harmed either. 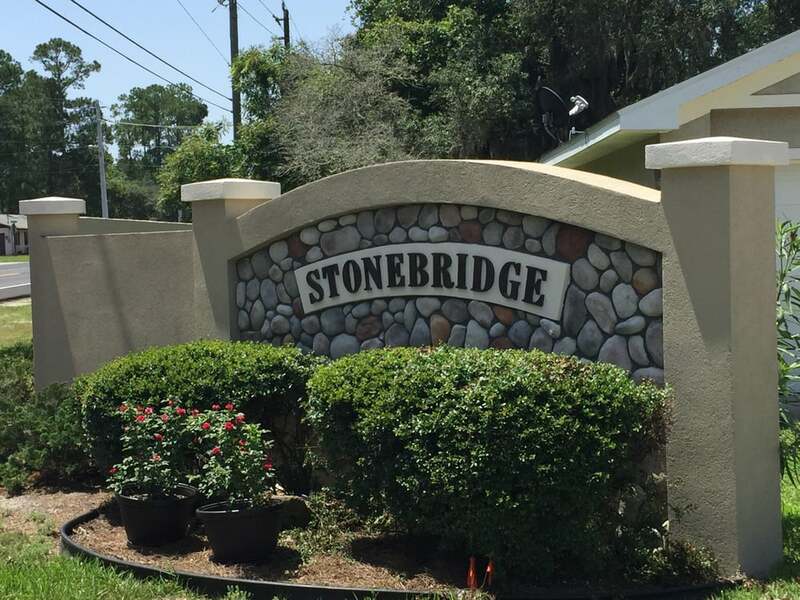 We clean all types of textures, from delicate coquina to brick, stucco, vinyl siding and everything else. Give us a call or email for a free estimate. We are a professional pressure washing service. We’ve been pressure washing Jacksonville Florida and the surrounding areas: Fernandina, Amelia Island, Mandarin, Ponte Vedra, the Beaches, St. Augustine and Julington Creek for more than 16 years. Part of living in beautiful north Florida is the mildew and algae that seems to grow on everything. But don’t worry that’s why we’re here. We clean almost any kind of surface from driveways to pool decks, houses, mobile homes, we also do low pressure chemical roof cleaning. Stewart Pressure Cleaning is an owner operated business with 16 years experience. Unlike some other pressure washing companies that offer things like painting, wood replacement and landscaping and window washing, pressure washing is all we do. So if it’s quality pressure washing you want or if you just want to ask us some questions give us a call or e-mail. When cleaning your homes exterior we blend a specific solution of cleaning chemicals and detergents. High pressure is not used. When we do house washing, we apply the solution and rinse away with low pressure. This is the most effective and safe way to clean any surface. Some people refer to this method as soft washing. With this method no damage is done to your windows, grout, paint or caulk. In fact if you clean your house once a year like this, you will likely get that 20 year paint to last 20 years. We can clean a normal size driveway in about 30-45 minutes. We use commercial equipment that a typical homeowner doesn’t have. Driveways are so easy to clean that we actually do standard size driveways (up to 4 cars) for free when you get a house wash if you mention the phrase ‘winter special’. That way everything is clean when we leave. People are often surprised after a professional driveway pressure washing. It is a more uniform and even cleaning than stroking it with a wand. And you won’t see stroke marks on it when the mildew does grow back. One of the items we clean most is pool decks. Weather it is cool deck or pavers, we make it shine. Take a look at some of the before and after pics. It’s good to clean a pool deck at least once a year, especially if it is cool decking. We can do chemical roof cleaning for most 1 story houses. Some folks aren’t aware that their roof can be cleaned. It can, and the results can be dramatic. It will also make your shingles last longer. Mildew usually shows as a darkening of the shingles and black streaks. If your roof looks a lighter color under the roof vents it is because that’s the color the roof should be. If your roof is regular asphalt shingle it can be safely cleaned. Pressure is never used on shingles. A chemical cleaning is the safest and most effective way to clean a roof. We clean decks and fences in different ways depending on the situation. Raw wood cleans up nice with high pressure, but if the wood is relatively new it may not be the best way. Splintering will get worse every time it is hi pressure washed. Painted and stained wood shouldn’t be hi pressure washed, unless you plan to repaint soon. A low pressure chemical may be what is needed. We can assess the item with you so you can decide what is best. If you have a commercial job, give us a call. We have commercial equipment and lots of experience. We have done pressure cleaning everything from stadiums to strip malls. In fact we have maintenance plans throughout the year with several restaurants, banks, and shopping centers. We do pressure washing for apartment complexes, condos, office buildings and more. A good first appearance on a home can add as much as 5 to 10 percent to the value of the home,” says John Aust, president of the National Association of Real Estate Appraisers. So cleaning your house with a power washer and the right cleaners not only improves the looks, it increases value. Last year we helped many home owners just like you in the Jacksonville area to add value to their homes with our pressure cleaning services. We offer free driveway pressure wash (up to 4 car spaces) with house wash, a $85 value if you mention the term ‘winter special’!